Following the previous column on humility, I intended to write this column on humiliation. But first let’s take a quick look at the related concept of shame. Shame is connected to a personal negative evaluation, which can be brought on by internal reflection or external criticism. Humiliation raises a strong sense of being wronged by others while shame involves a sense that you have done wrong. Humiliation is something actively, and usually purposefully, done by one person to another. People who experience humiliation do not necessarily feel shame. Highly secure or self-confident people are able to externalize the humiliation as something exterior to their sense of self. Nowadays, shame is typically portrayed as negative. Yet, this begs the question of why is it universal to the human condition? 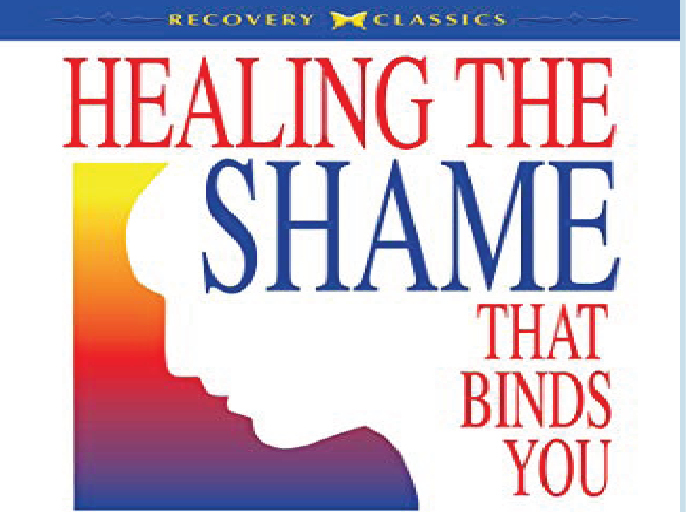 John Bradshaw, author of “Healing the Shame that Binds You,” shines a redeeming light on shame’s purpose. He explains that healthy shame keeps us grounded. It reminds us that human beings are designed to make mistakes. We are social creatures who need the help of others to survive; we are not made to be perfect. We have limits to our capabilities. Shame gives us permission and freedom to be fully human. Unfortunately, we have twisted shame from being beneficial and life enhancing into a painful experience more akin to humiliation that often leaves long lasting emotional wounds. Shame within a warm and trustworthy environment promotes growth. The relationship is the key, especially when it comes to correcting children. Bradshaw explains, “If a child can be protected by firm but compassionate limits; if he can explore, test and have tantrums without the caregiver's withdrawal of love, i.e., withdrawal of the interpersonal bridge, then the child can develop a healthy sense of shame.” This is reminiscent of Dr. Gordon Neufeld’s work on parenting which I’ve written about previously. He reminds us that a person can only dare to be vulnerable, to reveal his blush, or risk being seen for who he truly is when he feels unconditional love. In the era of social media, we seem to be becoming more judgmental towards each other. We no longer give one another the benefit of the doubt and instead are quick to jump to conclusions based on surface evidence. We appear to get more satisfaction in tearing each other down instead of building one another up. Our propensity towards fault finding, passing judgment, and shaming others causes tremendous damage both at the individual and society level. Criticism has become an amusement – something to do for fun. Without a loving and supportive relationship, these slings and arrows of life often becomes toxic. Counter to common practice, criticism does not inspire a person to improve behaviour, instead it usually causes him to shut down and withdraw. Repeated judgment erodes relationships and weakens a person’s ability to feel empathy for others – it hardens one’s heart. Furthermore, a person who is subjected to lots of disapproval often becomes angry and seeks revenge. He starts to develop a habit of blaming others and shirking personal responsibility. Feeling shamed by others, never “measuring up,” has high costs because it is an emotion borne of an experience of essential powerlessness – of being “less than.” Having an overwhelming feeling of hopelessness or worthlessness corrodes a person’s willingness to try, decreases his aptitude for forming connections and inhibits his ability to seek mutually beneficial solutions. The individual loses the chance to live a self-satisfying life and we all lose that person’s full contribution towards enhancing society. When shame is Philosopher J. David Velleman has an interesting perspective. He asserts that in modern society “nothing is shameful to us because nothing is private: our culture has become too confessional and exhibitionistic.” He calls for a revival of privacy and a prohibition on our “peeping tom” tendency to salivate over the perceived shortfalls of others. In his view, the shameful person is not the one who committed the initial error but, rather, the person who exposed the other person’s fragility against his will. Perhaps it’s time for tact and diplomacy to make a comeback. I plan to be more supportive and less critical. More curious and less judgmental. More accepting and less rejecting. More gentle with myself and others. I encourage you to try the same.